Breaking news from Mumbai, India: The Gateway of India was stolen a few hours ago. It looks like an open and shut case of V.I.L.E villainy in Carmen Sandiego Adventures in Math: The Great Gateway Grab. The Chief wants ACME's best agent on this, and that means you, detective. Get to Mumbai fast and find the arch-criminal who carried out this monumental malfeasance. 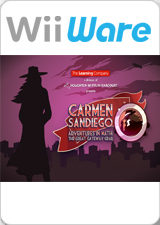 Carmen Sandiego is back and only you can foil her V.I.L.E plans. The graph below charts the compatibility with Carmen Sandiego Adventures in Math: The Great Gateway Grab since Dolphin's 2.0 release, listing revisions only where a compatibility change occurred.